When it comes to the success of any product, the design and the packaging plays an important role. It generates interest in the product and motivates customers to buy it. If you are into water bottle business, you need to come up with unique water bottles designs that can make your product stand out from others on the shelf space. Add a personal touch by creating custom water bottles. Today, you get to see bottled water everywhere. Whether you are travelling by road or train, you will get to see a lot of vendors who sell bottled water from various brands. So how will you gain the attention of customers towards your product? The answer is quite simple. Through bottle packaging! Gone are the days, when people used to drink water from a simple water bottle. 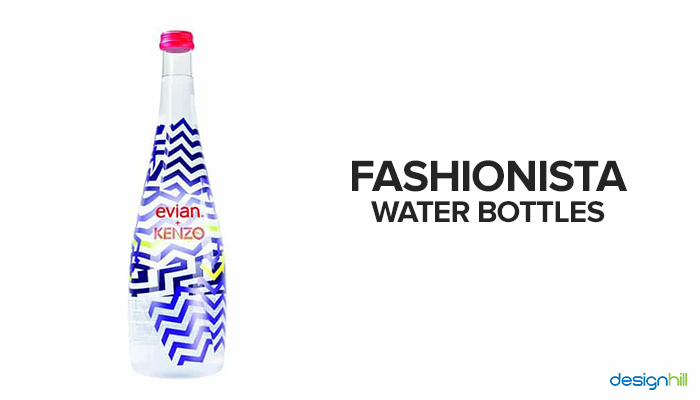 Just like any other products, they make style statements through custom water bottles. Celebrities like Miley Cyrus, Ryan Gosling are hitting the gym with their own customized water bottles. Do you know that the bottled water market size is expected to increase by 215.12 billion by 2025 globally? It shows that there is a huge business opportunity in the same industry. Even if you are a graphic designer with the required skills, there are chances of getting more jobs and water bottle design projects. After seeing the huge demand for bottled water, customers will definitely expect attractive and innovative water bottle designs. 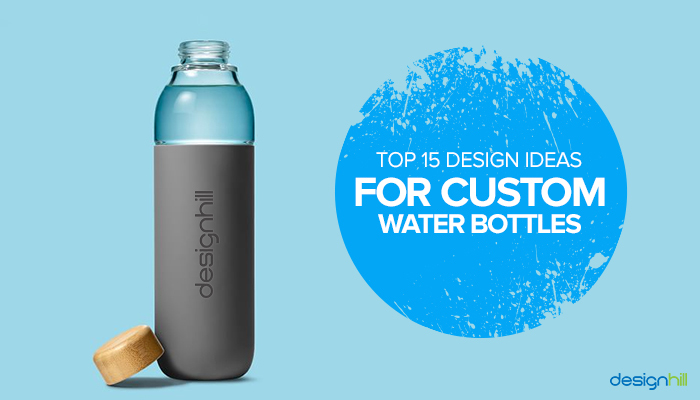 Since we love everything about design, we have come up with top 15 design ideas for custom water bottles. Let’s get started! What a great branding! 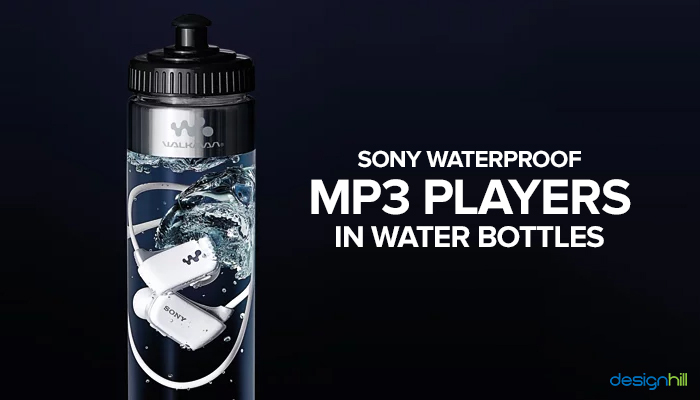 A few years back, Sony came up with a unique idea to promote its new waterproof MP3 players. Instead of just selling them in the normal package, the brand decided to sell them in water bottles. The idea helped the brand in showcasing the set’s usability in water. You may not sell a waterproof product, but you can definitely use custom water bottle for your promotional activities. If you are more concerned about the environment and want to make money at the same time, then this can be one of the best design ideas for custom water bottles. The simplicity of the design not only attracts customer’s attention but also gives them the image that you are concerned about the environment. Don’t forget to mention BPA free or recyclable on the label design. Looking For A Packaging Design? For all your graphic design needs, we have just the right solution. 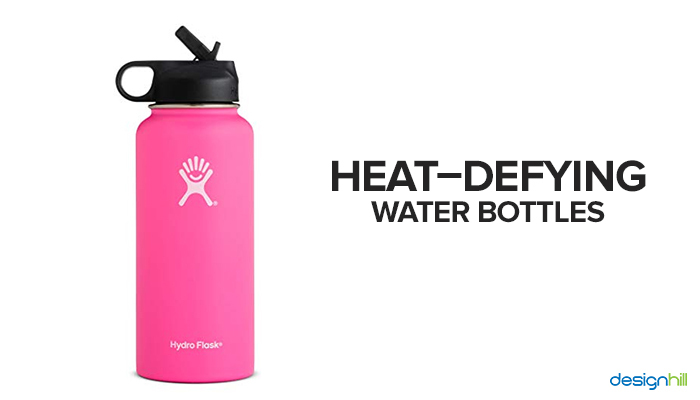 This magical water bottle defies the summer heat keeping your drink cool for long hours. How? With the combination of gel packs and thick insulation! The Tritan double wall protects the drink from high temperature. 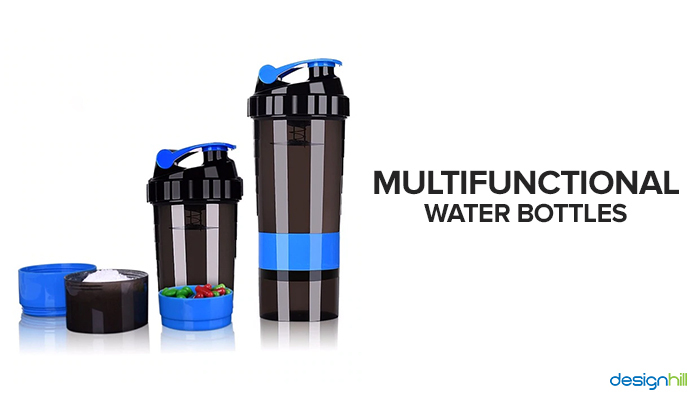 If you are taking part in any sports activity or are regular at the gym, this can be one of the perfect sport bottles for you! During summers, workout water bottle is one of the most noticeable things. So if you find glass or aluminium bottles old fashioned, go with fun graphic design custom water bottles. You can choose to print any design that can express your personality. If you know someone who drinks less water, you can gift them to encourage more water drinking every day. We live in an era where people are in a race to show off their valuables. Just like clothing, accessories, shoes, and other things, a lot of celebrities have started making style statements with the custom water bottles. They are being photographed with amazing bottle design and are trending with #waterbottles on various social media platforms. Through their personal logo design or any other design, they are expressing others who they are. Pepsi, one of the global leaders in the beverage industry, has come up with fitness-inspired water bottles designs. The bottle is designed in the shape of dumbbells. Although the design is little contrary to what brand actually is, if you are into a water bottle business, you can definitely take the inspiration from the brand. You can come up with such a unique design so that your product stands out from other on the shelf space. We all know that water is an essence of life. To avoid any health, we prefer to drink filtered water or bottled water. But there are places where we may not get filtered or bottled water. In order to solve this problem, companies have come up with filtering water bottles. 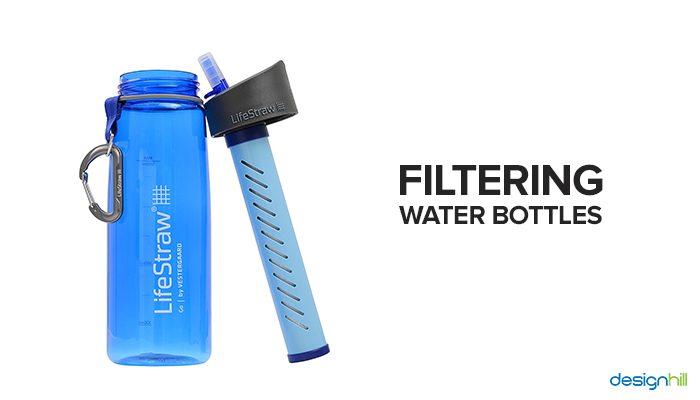 The powerful filter elements are included directly inside the bottle. These elements not only purify the water but also improve the taste. If you are planning an event, then this can be a great freebie gift to make your event successful. You can customize the design by putting your company logo on it. Are you planning to create a logo? Then use our logo maker tool that helps users in creating professional logo design within minutes. Today, people want to get most from the same product. That’s why companies have started coming up with multifunctional water bottles. 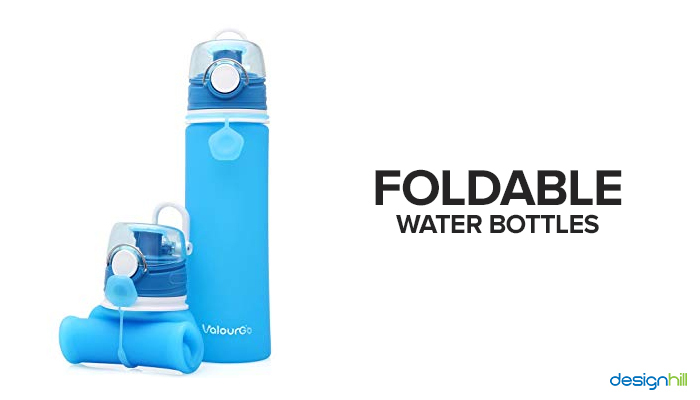 The custom water bottles have all the unique features like flashlight, water filters, storage compartments, etc. 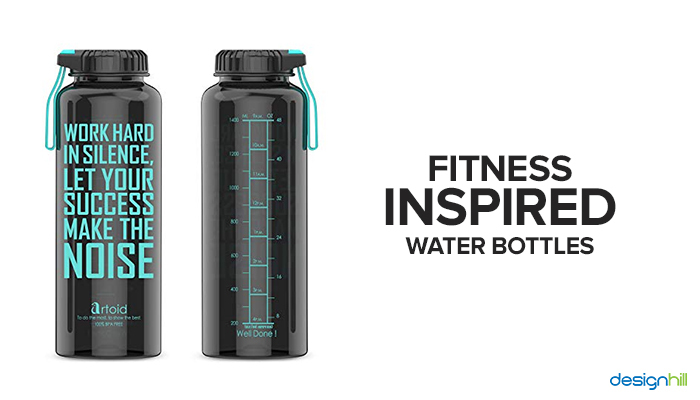 If your target audience are fitness freaks, for instance, you can design the fitness waterbottle according to their requirement. Make it more eye-catchy through your unique packaging design. You must have heard of the famous proverb, “Necessity is the mother of invention.” It is perfectly applicable in this case. There are situations where you may not always carry water bottles in hand, for example, during rock climbing. During the activity, it’s impossible to take out the water bottle from the bag. So, to solve this problem, companies have come up with collapsible water bottles. Such type of bottles can easily fit in the pocket. So what are you waiting for? Get your bottle design that matches with your personality. We would suggest you to take graphic design services of professional designer. They can help you to come out with the unique design that catches everyone’s attention wherever you go. If you think that watering cans are the cheapest item in the garden area, think again! You may also choose to water plants through the bucket, but then there is a risk of over watering them. It may also waste a lot of water. 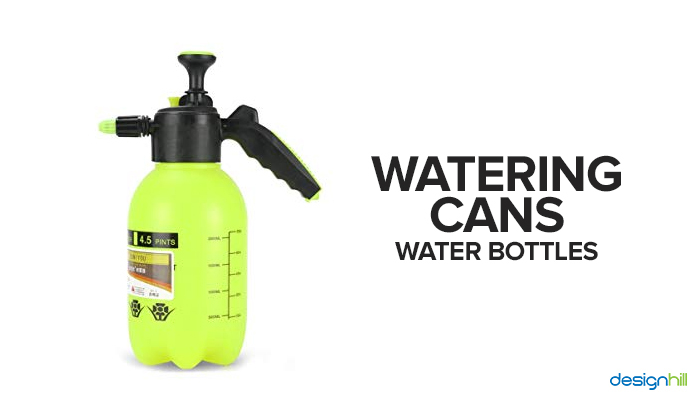 So, it’s time to replace those watering cans with watering cans of water bottles. These cheap custom water bottles come up with fancy attachments that help in watering plants conveniently. You can get these bottles designed to give an artistic look to your garden. We would suggest you take the help of a professional graphic designer to get unique custom water bottles designs. 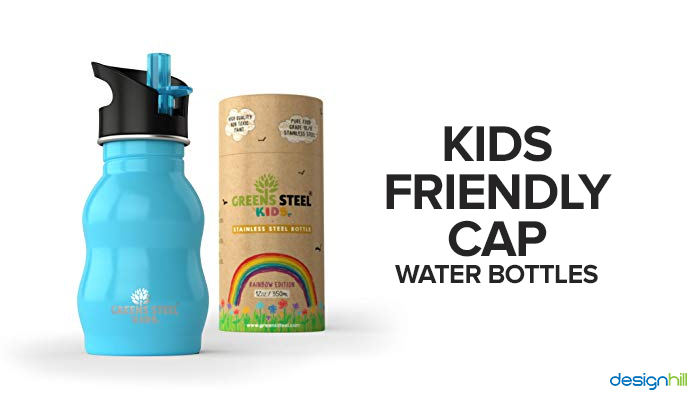 If you have a business of manufacturing custom water bottles and your target audience are kids, then this can one of the great design ideas. You must be aware of the fact that kids usually find it difficult to open bottle caps. You can replace those caps with lids of any other material with ridges to fit with the mouth of the bottle. Make sure it provides an appropriate grip to allow the cap to open the security band that is usually placed in beverage packaging. The BLK beverages came up with a new approach to drink spring water. You must have noticed that most of the water bottles are transparent, allowing consumers to see liquid clearly. But BLK came up with bottles that showcase a dark and almost dense substance. The brand has developed its own different take on H2O’s sale. The mixture has a single ingredient: fulvic trace minerals. These minerals are absolutely natural. They instantly change the color of water into black color. Furthermore, the product is a great substitute with high PH level, zero calories, and carbs. If you are targeting the elite customers, then this can be a great bottle design idea for you. 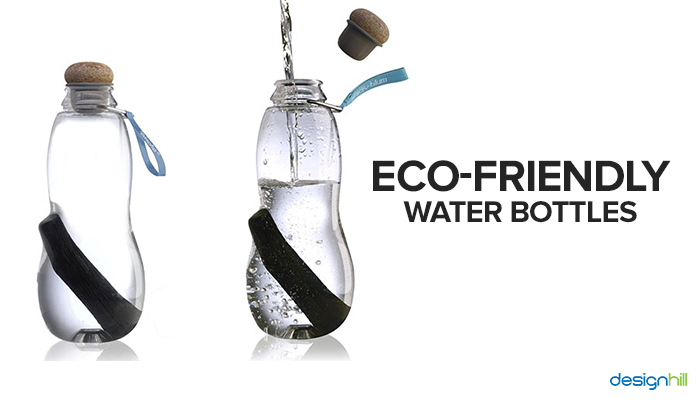 Around eight years ago, Bling H2O – the water bottle company, came up with this idea. 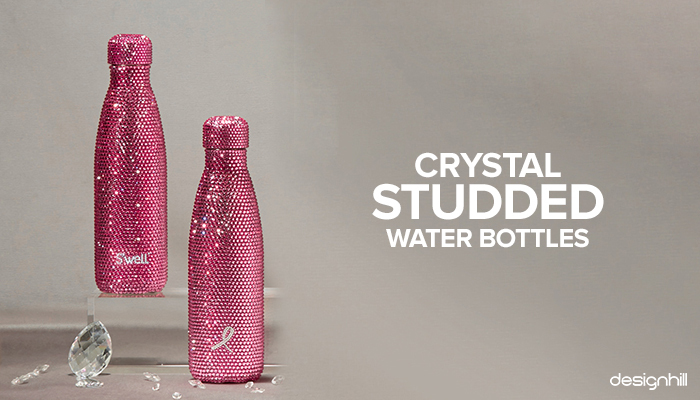 By teaming up with renowned jeweler Swarovski, the brand came designed their water bottles crystal studs. Today, Bling H2O has been counted as one of the top elite water bottle brands in the world. 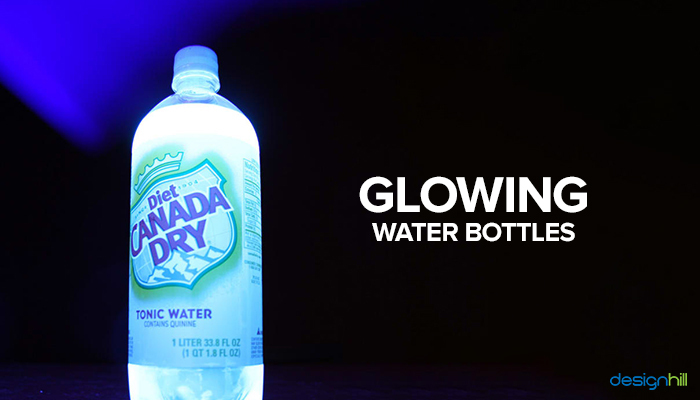 Glowing custom water bottles add a mysterious atmosphere to a dark room without any electricity. The solar cells in the water bottle capture the sun rays to recharge the in-built battery. The waterproof switch allows you to turn on the light when you need it. This bottle design is great for those who pass through the woods and find normal lantern little heavy. If you want to have fun during your walk, you can put different colors or pictures around the lighting area. This bottle design is almost similar to filtering water bottle design (mentioned in point 7). 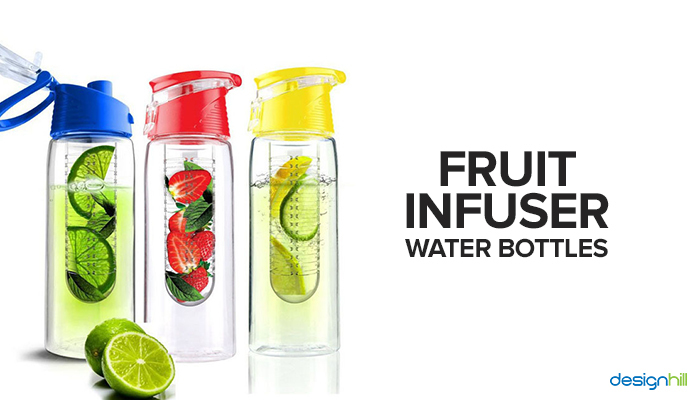 The only difference is that instead of infusing powerful filter elements, you can add fruit infuser inside it. It will give a fruit flavor to a consumer. You can remove the infuser and put inside your preferred fruit. If you want use them for any business promotional activity, you can personalize it by adding your brand name and logo in the bottle design. 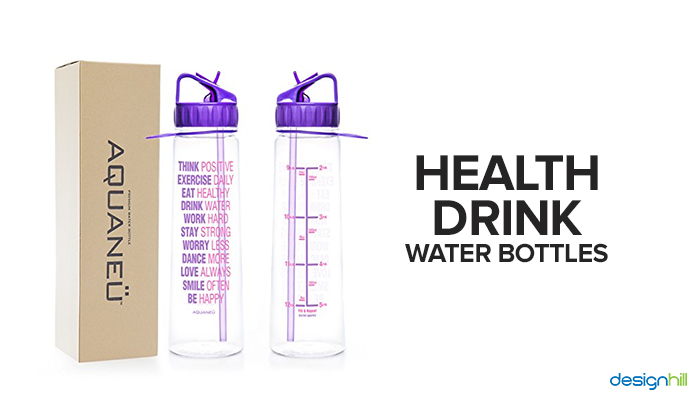 Custom water bottles are a great way to show your style statement and build brand awareness in an influential way. With so many available designs, we have chosen the most memorable and impressive designs. These designs will surely make you stand out from the crowd of other water bottle designs. 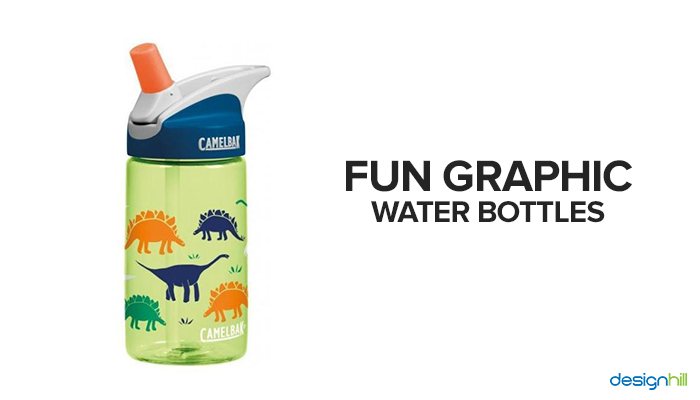 Are you thinking of creating your own custom water bottle design? Designhill should be the single stop for all your designing needs.